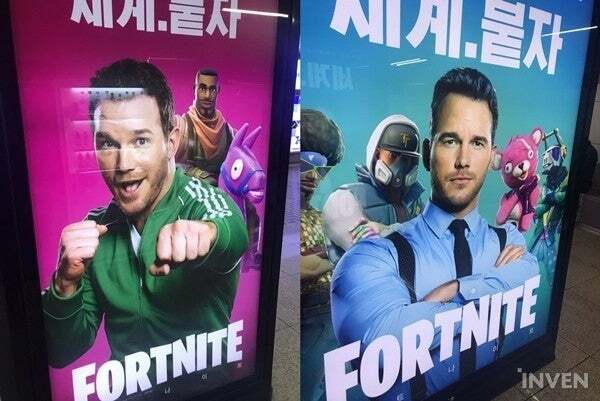 Chris Pratt is in high demand following his portrayal of Star Lord in the Guardians of the Galaxy films and his pivotal role in the latest in the Jurassic Park-verse, so it's no surprise that the team behind Fortnite would want a piece of that Pratt pie. After having just celebrating hitting the 8.3 million concurrent users milestone, the studio over at Epic Games have tapped into the Marvel star's potential by having him on to help promote their free-to-play battle royale mode. The matchup is even more fitting when looking at Pratt's role in Avengers: Infinity War facing off against Thanos, a character that has made his own way into Fortnite in the past. Even more fitting is that there are rumors that Thanos might make his return to the game in the near future, which would make Pratt's involvement even more logical for the studio. It wouldn't be the oddest thing to see Thanos return. Epic Games is known for bringing back beloved Limited Time Modes to keep the gameplay experience fresh, and the creator has not made his love for the Marvel universe a secret by any stretch of the imagination. Still, the return is likely further down the line give that the studio just recently launched their Fornitemares Halloween Event this week. Another possibility is that this could be a feature added to the Playground mode. The team recently made a ton of changes to how Playground works, including minigames, a shooting range, and much more. It wouldn't be too much of a stretch to see Thanos come into play in that mode, giving players a chance to harness the power of the Infinity Stones once more. Fortnite is now available for Xbox One, PlayStation 4, PC, Nintendo Switch, iOS, and select Android devices. Would you like see the epic return of the Marvel baddie, or is it time for something else entirely? Join in on the conversation in the comment section below! You can also catch up on all things Fortnite with our Game Hub here to learn more about patches, leaks, cosplay, and more!